The latest Green Deal and Green Deal Home Improvement Fund statistics have been published by the Government, with the Department of Energy and Climate Change (DECC) confirming that more than 300,000 homes have had Green Deal Assessments. 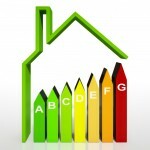 According to the published figures, over 37,194 homes had a Green Deal Assessment in July, which was the most popular month for the Green Deal scheme to date, as even more households arranged to have their homes assessed for the Green Deal with a view to taking out a Green Deal loan to finance recommended energy efficient measures. By the end of July, the number of Green Deal plans in place reached 3,898, with 1,815 measured actually installed. The latest statistics also included details of the popular Green Deal Home Improvement Fund figures. The cashback scheme went live on 9 June and initially offered up to £7,600 to encourage households to carry out eligible home improvements to make their homes more energy efficient. Almost 550 measures had been installed by the end of July. The Green Deal Home Improvement Fund was closed on 25 July after just six weeks, with the Government blaming its closure on overwhelming popular demand. Under GDHIF, the most popular measure was solid wall insulation, which represented two thirds of all improvements to date. The Government’s decision to close GDHIF without any warning was a shocking move – particularly since they had announced a £2,000 reduction in the amount of cashback available just two days before. As it stands, the cashback scheme remains closed with DECC monitoring voucher payments. Around two thirds of applications had been issued vouchers by the end of July. DECC also revealed more details about the last few days in the run up to the scheme’s closure. Between July 22-24, close to 9,000 GDHIF applications were submitted and 625 applicants made more than one submission: of these 195 made over five applications. By the end of July, DECC has confirmed that there were 21,464 active applications worth around £117 million. By August 21 more tha 14,000 vouchers had been issued, but just 449 vouchers had been paid totalling £2.3 million of the allocated £120 million budget. Visit the Department of Energy and Climate Change website for more information and to view the latest Green Deal and ECO statistics.